Check your calendar: It’s a new moon! 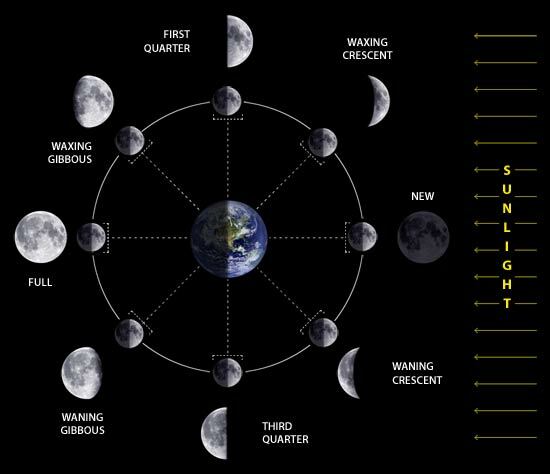 Okay that may mean nothing or something depending on how you define “pagan,” but I enjoy observing and reflecting on moon cycles; including my own. I didn’t really understand why for most of my life; just figured it was another of my weirdo tendencies, but you read=you learn=you analyze and in your getting, if you’re lucky or curious enough you get a little bit of understanding. So I now “get” it a little; at least I know this much: the moon cycle reminds me of the perfect order of things–the cycle happens without any guidance or prompting from anyone or anything; reminds me of evolution and growth–how much wind and water sting when they’re healing, making stuff move transitioning from one physical space or shape or use–basically whittling you into shape; and of course it reminds me of the opportunity presented in all this–to bring new life or release that possibility until the “time is right”—you know, like a woman’s moon cycle. Which brings me to the new moon. To me, the new moon, especially, is an opportunity for new beginning. I was told that to manifest your own new beginning, you make a wish on the night of the new moon: write it and slip it under your pillow or just think it (perhaps not as effective) and sleep on it that night. By the next new moon, you can expect to see a change. Seriously, the Universe is just that wise, but you gotta trust it which is the hardest part I think. I’m not having a hard time, right now, so much with trusting the Universe, but rather with the uncomfortable-ness of the wind and water healing and shaping—kind of like cramps during a woman’s moon cycle or even the contractions of childbirth. Nobody likes them; they’re still part of the process. You gotta trust the change you see at the next new moon. Because when you don’t trust it, it will crawl into a corner and die or else into the arms of someone else who appreciates it. In other words, don’t necessarily expect it to look like you thought it would; just expect the end of the process to always be the same: a manifestation of what is SUPPOSED to be. New moons are an especially good time to begin to break new habits or to start new endeavors. But beware, of course, of particularly secular or material desires; the Universe provides everything we NEED not just the crap we want. And if you’re like me, you want a lot of crap. Oh yeah, and the Universe is wise enough to know when we ain’t ready. Between now and the next new moon, you may feel like you’re being tested; like what you want ain’t never coming. (Like that Nationwide Insurance commercial, I am “sooooooo there.”) But I’m guessing; I mean erehemmm, you gotta trust that the uncomfortable stuff is to get you ready for what’s to come. This is not some chain letter type fake astrological type stuff. This is not anti nor pro religion. Because regardless of which side of that coin you fall on; whether you’re a skeptic or believer, you have to know that your Higher Power, God, Spirit Guide or whatever is a master of this Universe and has the power and wisdom to keep it on its divine course. You’re part of that Universe; so what makes you think that doesn’t mean you too? (And add to your new moon wishlist a wish that I don’t slit my wrists in this process).